The Lord-Lieutenant Mrs Jenny Tolhurst with some of the children at the Commonwealth Centenary Service. M Lord-Lieutenant Mrs Jenny Tolhurst and Mr Philip Tolhurst (centre) with Chairman of Essex County Council, Cllr John Aldridge (left), Bishop Trevor Mwamba (foreground right) and Akbar Khan Secretary-General of the Commonwealth Parliamentary Association (right). 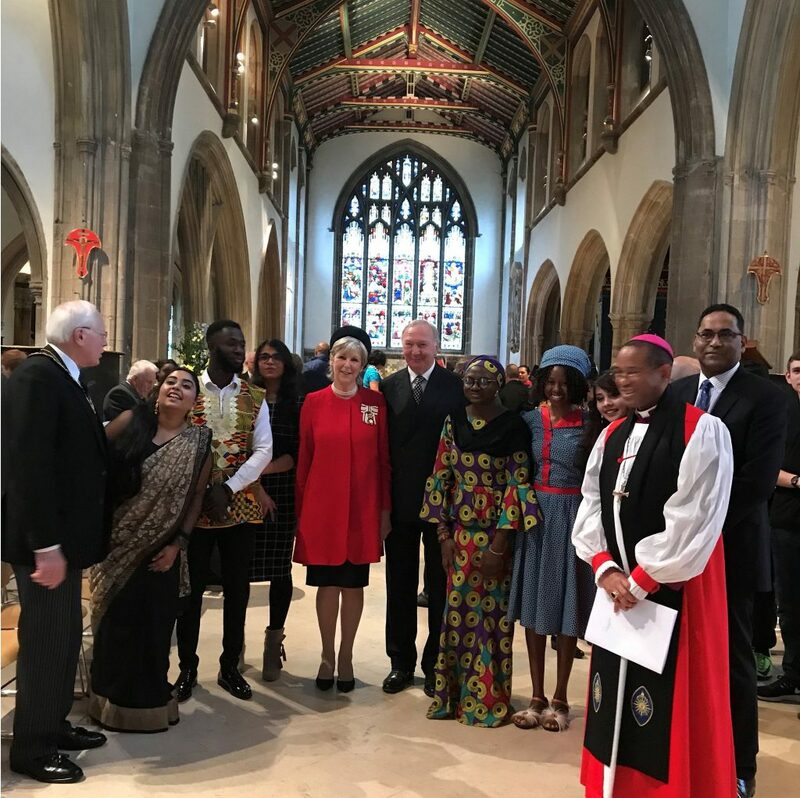 The centenary of the Commonwealth was celebrated in Essex with a special interdenominational service at Chelmsford Cathedral. 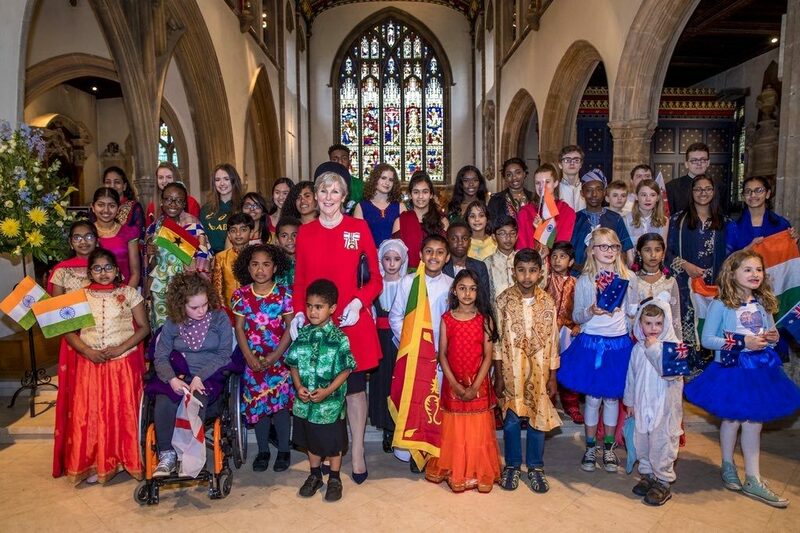 Some 60 children from all over the county, wearing national costumes and carrying banners representing the five geographical areas of the British Commonwealth countries, joined many others at the inspirational multi-faith multi-cultural service. 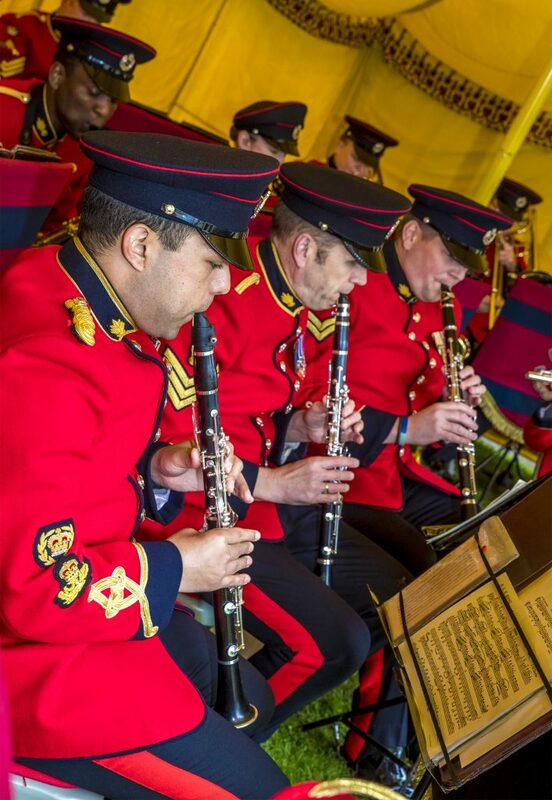 The Lord-Lieutenant Mrs Jennifer Tolhurst and the then chairman of Essex County Council, Cllr John Aldridge together with a committee of deputy lieutenants and the then Mayor of Chelmsford Cllr Duncan Lumley, organised the special service to mark the 100th anniversary of the British Commonwealth. 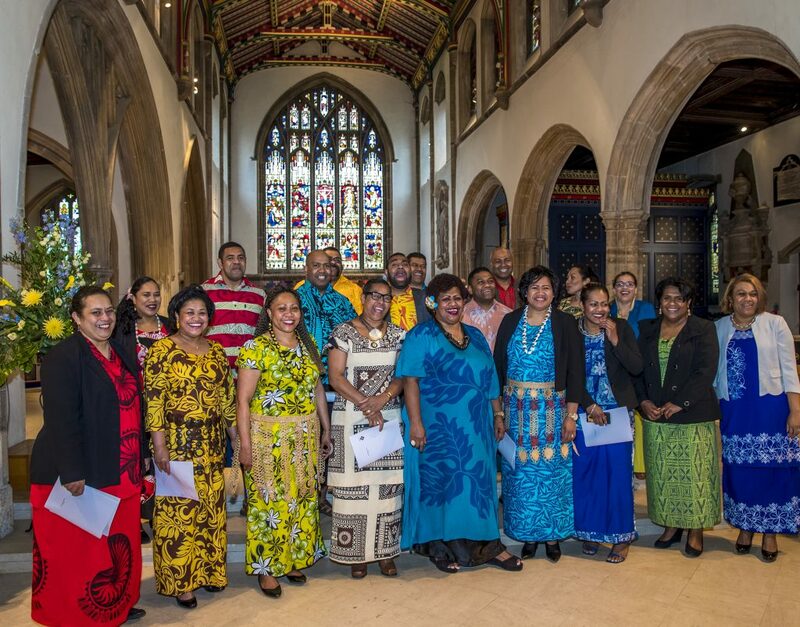 During the service of thanksgiving and reflection there were performances by the Band of the Corps of Royal Engineers, the Fijian Choir, Essex Dance Theatre and the Cathedral’s own Choir. A talk was given by Bishop Trevor Mwamba to a congregation which included Akbar Khan, Secretary-General of the Commonwealth Parliamentary Association. Mayors and chairman from many of the boroughs, districts and South and Thurrock, deputy lieutenants and many other friends and people of Essex attended the Commonwealth Service which was part of a national celebration of the Commonwealth and the achievements of its 52-member countries during the past 100 years. 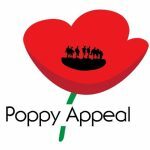 It coincided with the bi-annual meeting of the Commonwealth Heads of State in London, which was the last one to be attended by HM The Queen as Head of the Commonwealth.